Discover the thrill of white water paddling in a comfortable atmosphere with the best instructors in Asia. 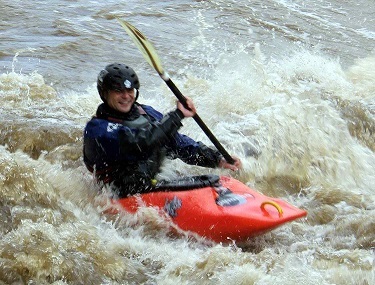 This course focuses on taking those basic flat water kayaking skills on to the river. Let us make that transition to moving water a smooth, fun, safe and positive experience. Then it is all about getting wet!! Learn what to do with yourself and your boat in moving water while enjoying yourself at some of Kiulu’s local river spots. Starts on a calm river, in and out of your kayak, paddle techniques, T-rescue, Eskimo roll, in and out of an eddy, traversing. We paddle on a class II river. We practice on elements from Day 1 and continue with safety and reading the river. Complete Kayaking Course and proceed back to Kota Kinabalu.